As you know, Friday saw the second “shelter in place” of the week for Weehawken High School students. “Shelter in place” is a safety procedure whereby people are kept safe indoors during an emergency event. In this case, it involved all students staying in their classrooms. The first shelter in place occurred on Tuesday morning, immediately after a threatening message was discovered. Shortly thereafter, a second message was found. For their safety, students had to stay in place in their classrooms for most of the school day. On Friday, a third note was found outside a girls’ restroom on the first floor, even though hallway and bathroom monitoring personnel were in place. That initiated our second shelter in place, which lasted about 90 minutes. After the first note was found on Tuesday, we immediately contacted the Weehawken Police Department. No one other than law enforcement personnel were allowed in and out of the building for the duration of the shelter in place. Police were posted in every hallway. Detectives interviewed potential witnesses and rigorously and repeatedly searched all rooms and floors of the school building. The Weehawken Police Department’s investigation on Tuesday led to the determination that the threat was “not credible,” meaning that it was intended as a hoax. The note on Friday was also determined to be “not credible,” but a hoax. 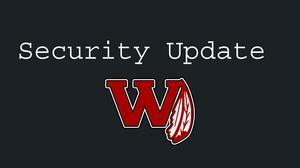 Despite those determinations, out of an abundance of caution, on Wednesday, Thursday and Friday, all bags being brought into Weehawken High School were subject to search, and that practice will continue indefinitely. Upon entry into the building, students were also checked with metal detector wands. Although the school district received a substantial security upgrade last year, we have arranged for additional surveillance cameras in key locations. Be assured that the Weehawken Police Department, including its detective bureau and juvenile bureau has made substantial progress in its investigation to find and hold accountable the perpetrator or perpetrators of the threats. Know that once found, the person or persons responsible for making these threats will be prosecuted to the full extent of the law, and the strictest administrative repercussions will be leveled against those found guilty. I realize this has been a difficult week for Weehawken High School students and their parents and guardians. It has been for staff as well. Despite the disruption to two school days, though, I am very proud of how professionally our teachers, staff, and administrators and how maturely our students conducted themselves during this trying time, and I greatly appreciate the patience and understanding of parents and guardians who -- though understandably worried -- gave us the space and trust to address the threat. Moreover, I am eternally grateful to the members of the Weehawken Police Department, whose officers and detectives have worked day and night to find those responsible for threatening our school. They ensured that your children continued to be safe at all times. Our first concern is the security and safety of your children. Based on the security measures put in place for our schools, all personnel and police have an important role to play during an event of this type. For the past four years, school personnel have been rehearsing emergency measures. I am proud to say that everyone performed their required roles and responsibilities quickly and efficiently. We understand your frustration in needing to receive more information and updates as these events progress. Despite the importance of of contacting parents and caregivers as quickly as possible, during an event of this nature, the first priority of administration must be managing what occurs inside the building. Our second priority becomes informing parents and caregivers of the situation at hand. Given the speed with which children can now contact their parents and caregivers with their cell phones, it was inevitable that you would hear word of the shelter in place from them before you would hear it from us. I realize that hearing from your children before you hear from us does amplify the worry you would feel. We will work on finding ways to communicate with you sooner and more frequently, without sacrificing our focus on managing the situation in the school. Despite the concern that this situation caused parents, caregivers, students, and school staff alike, Weehawken High School will continue to be a safe and nurturing learning environment. 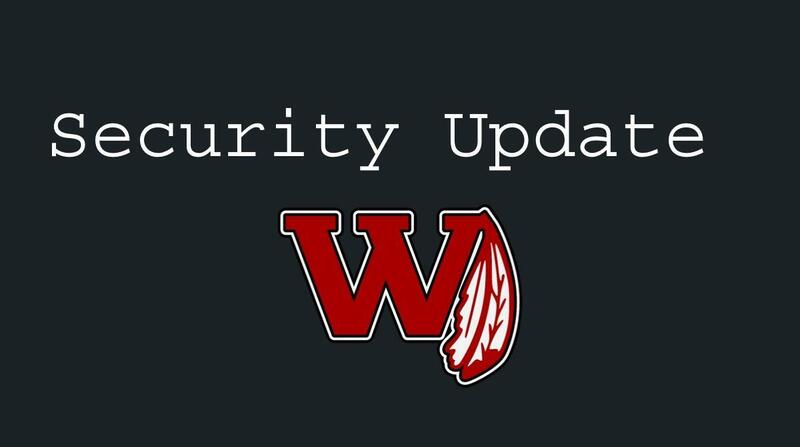 Weehawken High School will be operating as usual throughout the next few weeks, but with additional security both inside and outside its perimeters. We will continue to search bags and use metal detection wands as the situation warrants. All after-school events will stick to schedule, but also with a visible police presence. We are glad that no after-school events have been cancelled due to this emergency situation. Thank you for your patience in continuing to understand that I cannot share with you any more details of the events of the past week until the Weehawken Police Department concludes its investigation. At that time, I assure you that I will share with you what I can of their findings. As the investigation continues, if anyone has any information concerning any of these events, it is important that you contact the Weehawken Detective Bureau at 201-319-6044. All calls will be confidential. In the meantime, please know that your children are being kept safe and educated.